A new and unique racing game with classic rides and hidden rewards and secrets to unlock more vehicles! 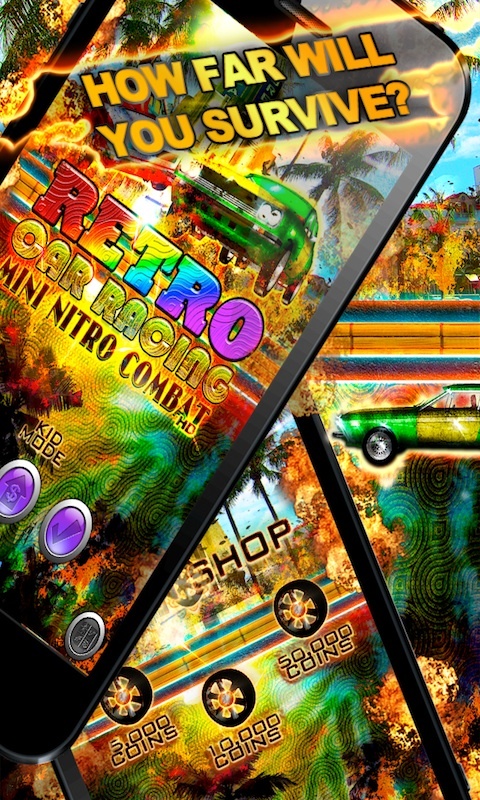 Get all the coins and gold and challenge yourself in the ultimate race in old Miami! Welcome to the wackiest racing game ever! 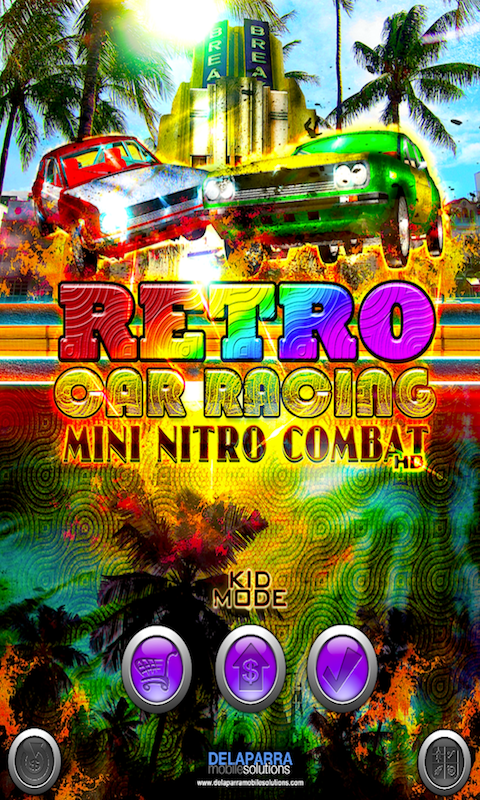 "RETRO CAR RACE: Mini Nitro Combat"
This awesome game is for fast retro car and racing fans! 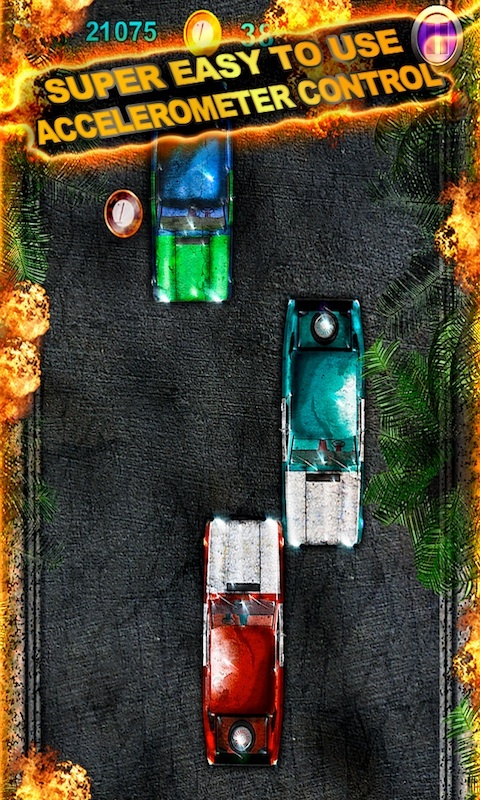 The game takes place in Miami in the mid 60's, where you have just entered a street racing contest where the craziest psycho drivers have been chosen to test the new model for the acclaimed car construction brand DLP Auto called "Firestarter". 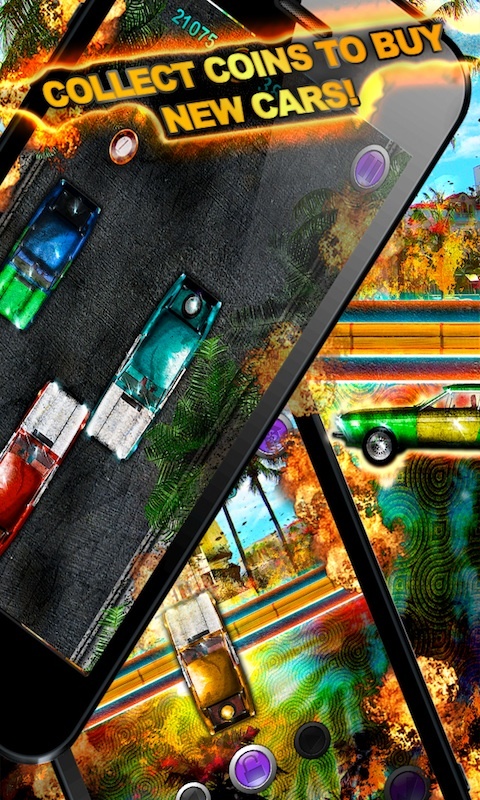 You will battle for who can go faster without crashing with the other drivers, collecting coins to obtain new colors for your car and driving with the style that fits you the most. Use your device's accelerometer features to control your auto by tilting your device. It has never felt so real to drive like crazy! In this game suitable for all family members, you will have the opportunity to compete with your friends for who gets the most coins and not crash.